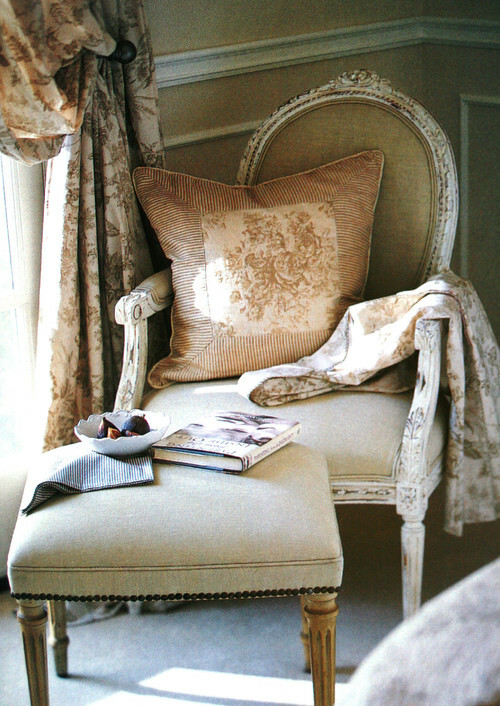 Linen upholstery and nailhead accents are a time honored tradition that never seem to go completely out of style. Whether you enjoy modern, French country or a shabby-chic decor, there is a way to include linen fabric and nailhead designs into a stylish design combination. Upholster the walls. We have written before about the ways linen can be used to wrap the walls in style. Using nailheads is simply icing on the cake. Linen-wrapped dining room walls can provide a homey, textured accent that will also help to muffle the clank of silver and china. 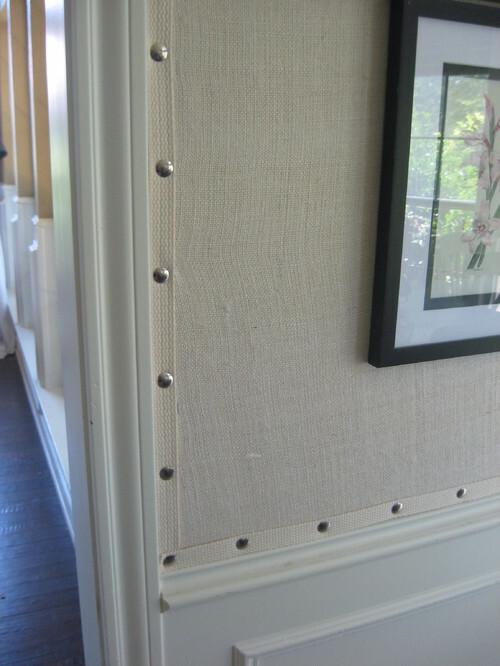 Using nailheads around the border will help to bring attention to your linen wall coverings. You can also use linen as a soft and cozy accent in your bedroom. This bedroom used bronze nailheads to create a paneled look on their walls. Bronze was a great choice as it has rich, warm tones that work well to offset the natural color of the linen fabric. Up for a reupholstering project? Linen is a wonderful fabric for your upholstering project because it is durable and easy to clean. We recommend reusing some of your favorite linens, including bed sheets and table cloths, to transform dining or living room chairs from shabby to chic. In this bedroom reading corner, the linen upholstery, combined with a row of nailheads, and an antique reproduction chair are all about tradition. 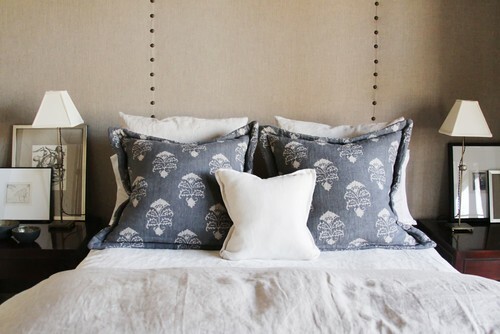 Looking for ideas for linen upholstery projects in your home? 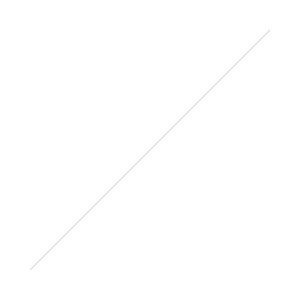 Subscribe to our blog for more tips and suggestions, or contact Linens by Didirks directly.